The first people you meet when you enter Bellarine Veterinary Practice clinics are our receptionists. Our wonderful reception team members are committed to excellent customer service and always helpful and welcoming, no matter how busy it is. 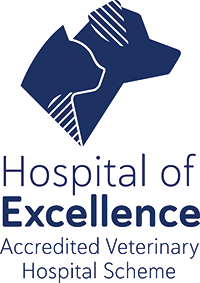 Many of our receptionists also work as vet nurses, so are able to offer reliable and honest advice about our range of merchandise, pet care and nutritional products. They can also deal with all kinds of questions and queries, and if they can’t they’ll refer you to the right person who can help you out. 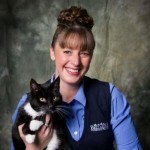 Natalie is the receptionist and clinic co-ordinator at our Newcomb clinic. She is responsible for ensuring the front of house at Newcomb runs effectively and smoothly and that we deliver exceptional customer service. Natalie has two dogs Rue and Soona, two cats Lionel and Greg, a rabbit Timmy Jack, an ancient axolotl called Jack Nolan and three horses Bob, Otway & Lord. Her partner has now declared “Nat’s Ark” is closed! Kim is the receptionist and clinic co-ordinator at our Ocean Grove clinic and loves the challenges and satisfaction that her job brings. Kim has a tabby cat called Dilligaf, and a black and white cat Razz as well as two chooks, Peaches and Honey, who roam around Kim’s garden. Kim has been riding horses since she was five. Jeanette is the receptionist and clinic co-ordinator at our Grovedale clinic. Originally from the UK, Jeanette is now a proud Aussie. 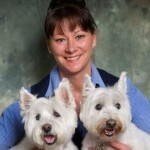 She owns a west highland terrier Poppy and is also a keen horsewoman. She’s currently enjoying the challenge of teaching her daughter to ride and care for their pony, Star. The Newcomb Bellarine Veterinary Practice reception is also supported by Caz and Kylie, two fabulous staff members who do all they can to support our clients and patients. Both are crazy cat ladies who can’t resist a cute cat face peeping from a carrier. 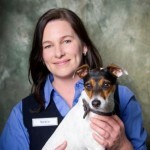 Bellarine Veterinary Practice’s reception team can help you make an appointment for anything from advice from a vet about canine reproduction to dog training for pets at the toddler stage.